I visited Harris Neck Wildlife Refugee today. 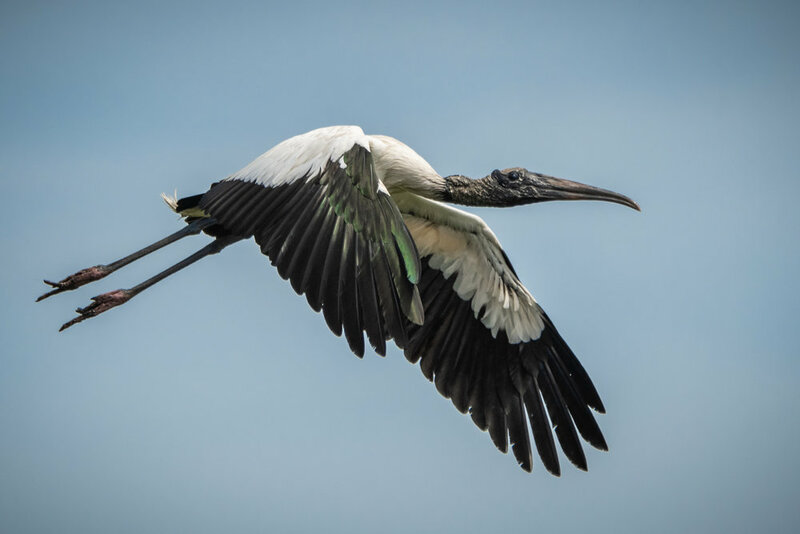 The refugee is home to protected nesting grounds of the endangered Wood Stork which have begun spring nesting. Standing between 3-4 ft tall and with a wing-span of up to 6 feet, they make for an impressive sight. I also spotted my first Roseate Spoonbills today. Murphy's Law - my camera battery died as it took off and flew right by me. While I usually favor a good close-up, my favorite shot of the day - a flock of endangered Wood Stork startled by a military transport helicopter at Harris Neck NWR (outside Savannah). Here you see the sheer size of the stork when compared to a Spoonbill and a pair of Great Egret. Following Harris Neck, a quick trip to Savannah NWR unfortunately didn’t offer up much variety but some friendly grackle.